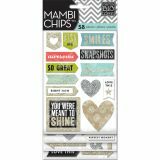 Chipboard Value Pack - ME & MY BIG IDEAS-Mambi Chipboard Stickers. 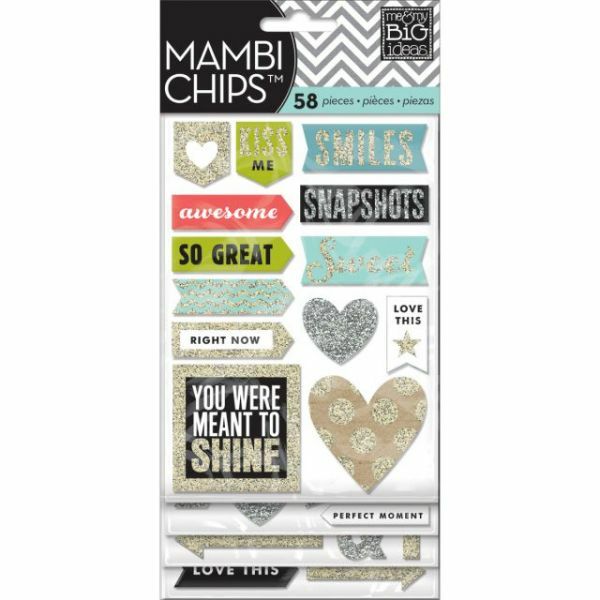 These stickers are perfect for finishing your paper crafting project. This 9x4-1/2 inch package contains four sheets of stickers (fifty-nine pieces). Design: Love This. Imported.